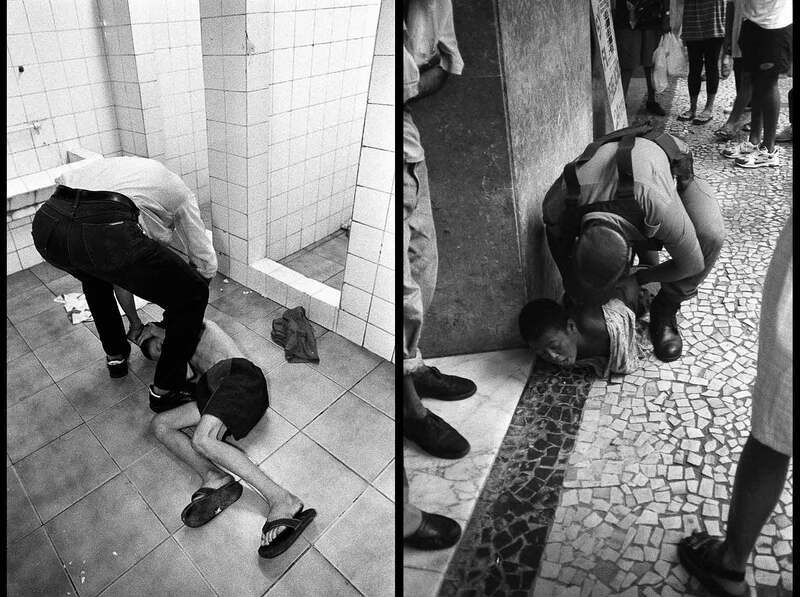 Rio de Janeiro street children: at left, boy reluctant to bathe, one of the institutions´s hygiene rules. Partner: Associação Beneficente Sao Martinho. At right, policeman arrests street boy after attempted robbery.